Rock out with your website out, or whatever it is. 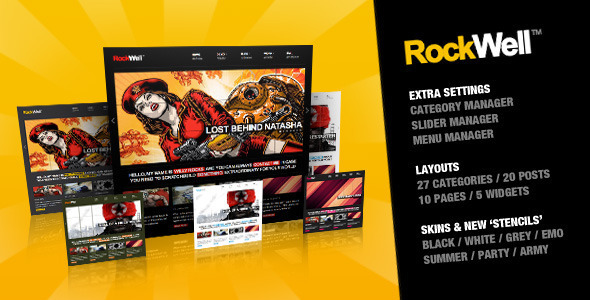 The RockWell theme offers a category manager, slider admin, menus, many different layouts and widgets, as well as skins and stencils. I'm not sure what a stencil is, but it sounds awesome.